“Bye Harriett” clucked Harriett’s best friend. “Have a good flight and say hi to Ozzie for me”. “I will”, Harriett chirped. “Be careful yourself”. 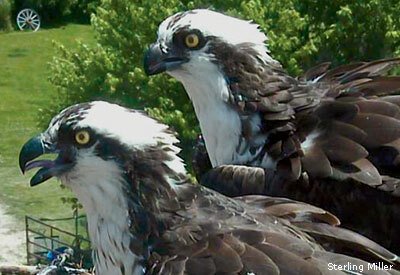 “All the ospreys in South America are packing up and preparing for their migration home”, says Harriett. “The yearlings of course, including Riki, will stay to enjoy their 18 months of youth; check out the prospects and find a mate for life. This may sound simple and a whole lot of fun, except for that annoying mysterious energy-force, that invariably complicates relationships between young ospreys. Do not blush. You know what force I am talking about! Some call it “Chemistry”. In reality, it’s the energy-force that makes us do things we wish we had not; the force that reaches its peak in males at nine months, and at two years in female osprey. You know, the force that is determined by biological, psychological, and social factors. Levels of hormones surging out of control; testosterone, estrogen, oxytocin, vasopressin, various pheromones all splashing together with untoward consequences. Social factors, such as work and family, also have an impact; as do internal psychological factors, like personality and stress. 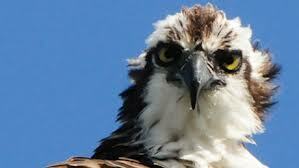 But you and I know, this energy-force can sometimes take control of the most stalwart osprey. An osprey who has extremely frequent or sudden increases of the energy-force may be said to be experiencing puberty, in which the body builds up chemicals and causes the force to take over their mind and body entirely. I bet it has happened to you humans a time or two. Don’t be shy, you can tell me. It’s really only nature we are talking about”. “According to the Doctor’s friend Sigmund, this force is part of the id* and is the driving force of all behavior. 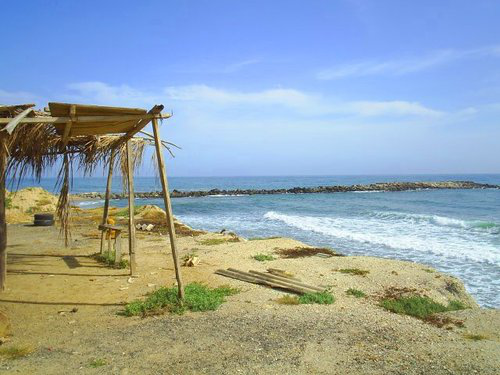 “I can’t remember the name of this energy-force, but I’m sure it will come to me in a moment or two. The id is the entirely unconscious part of personality. personality component made up of unconscious psychic energy that works to satisfy basic urges, needs, and desires. The id operates based on the pleasure principle, which demands immediate gratification of needs. Riki had his own id driven roller coaster ride, and like a takeout double with fourteen points, his story has been told, there is nothing more to say. Enough about young ospreys. There are important activities in the present that need to be told. “I joined a very strong skein”, continued Harriett. Fate that Harriett will soon have to face. “It is a small skein but we all feel good about each other. The last thing I want is a repeat of last year’s near fatal crossing of the dead Gulf”. “Here we are getting started”. “When I got the message from the Doctor, I was initially annoyed. Why can’t he deal with his own IT problems without bothering me? But then I remembered his limited access to the Intergalactic help files. So, I went ahead and sent him the information he needed”. 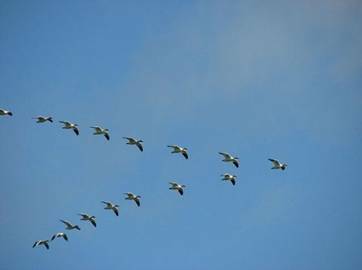 “But, now once again the migration home is before me. I really like the ospreys I have met and feel better about this migration than I ever have in the past. Nonetheless each and every migration is a grueling experience, fraught with danger, expected and unexpected; not to be for taken lightly”. “As of today we are doing well. The boys are really strong and don’t mind taking the lead. It’s easy to see how Marcus is smitten with Bunny. She really has the stuff; Marcus really does not stand a chance”. Good news from Harriett, but Ozzie’s migration is not starting off too well. Ozzie met up with a dubious group of ospreys hanging out near Caracus at the Simon Bolivar International Airport. In general ospreys stay clear of airports. Ozzie had heard this band of misfits were getting an early start, for what ever reason, and he eagerly wanted to see his dream platform behind the Doctor’s. “I’ll fix it up nicely so my beloved Harriett will be impressed”, he thought. The raggedy clutch had been in the berry juice most of the winter; only a couple had found mates. Mostly they hung out by a long breakwater behind runway # 3 and complained about their bad luck. Ozzie would soon learn the real meaning of luck. Unbeknowst to all, their leader, Mike, has a malfunctioning magnetic field sensor. 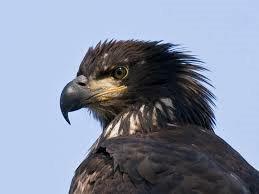 Recall from an earlier post the sub microscopic magnetoceptive neurons containing Magnetite (iron oxide) in the beaks of osprey are capable of detecting sound, gravity and the earth’s magnetic fields. The beak detects the angle that the Earth’s magnetic field makes with the ground, which of course varies with latitude. This is not all that is required for ospreys to make their incredible 3000 mile flight, but it is absolutely essential. Even worse Mike has not recalibrated his photochemical compass since November, and the berry juice has erased what little he remembered of star/constellation orientation vectors. Yet like sheep his compatriots blindly, ignorantly followed him a great leader of which Mike considered himself. I never have been able to figure out the degree of stupidity, but here it is again in just another format. But, so eagerly did Ozzie want to check out his old home, he linked up with them against is better judgment. By the end of migration day number one, Ozzie realized he had made a terrible mistake.